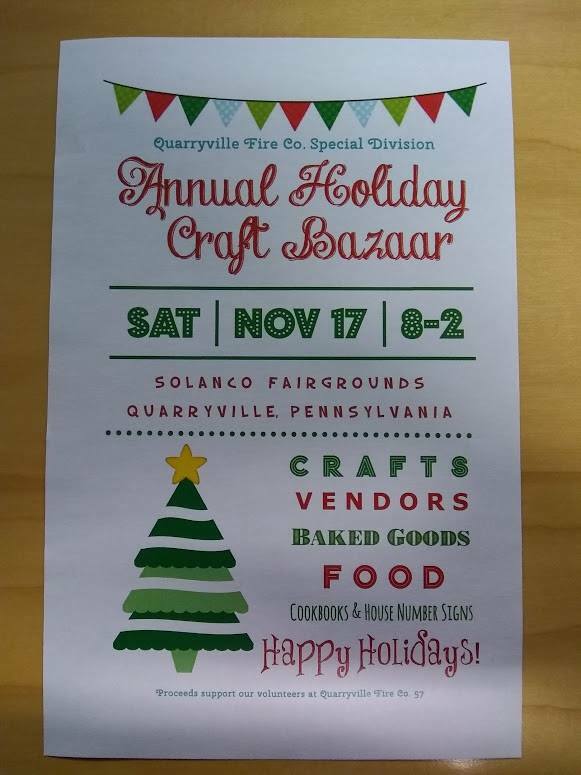 The Annual Quarryville Fire Company Special Division Holiday Craft Bazaar is Saturday November 17th. 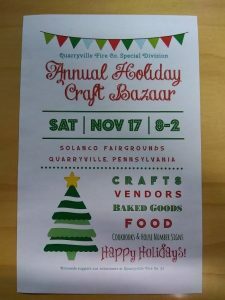 This event has become bigger and better every year, and this year has had to move into a larger building at the Solanco Fair Grounds. Over 70 vendors and crafters will be located in the Kreider Building, which is behind the Hoffman Community Building. The bazaar runs from 8 am to 2 pm. There will be raffle baskets and food during the day. All proceeds go to helping the operations of the Fire Company. There are quite a few events going on in the Southern End this day, so be sure to make this a stop on your list!